How Brinkmann helped the NTFB achieve a 588% increase in annual public support over 14 years and create a successful capital campaign realizing over $55 million. 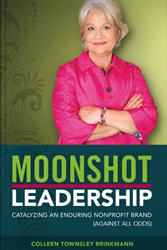 Colleen Townsley Brinkmann, a highly regarded nonprofit industry strategist and former Chief Philanthropy Officer for the North Texas Food Bank, has authored a new book titled Moonshot Leadership: Catalyzing an Enduring Nonprofit Brand (Against All Odds). 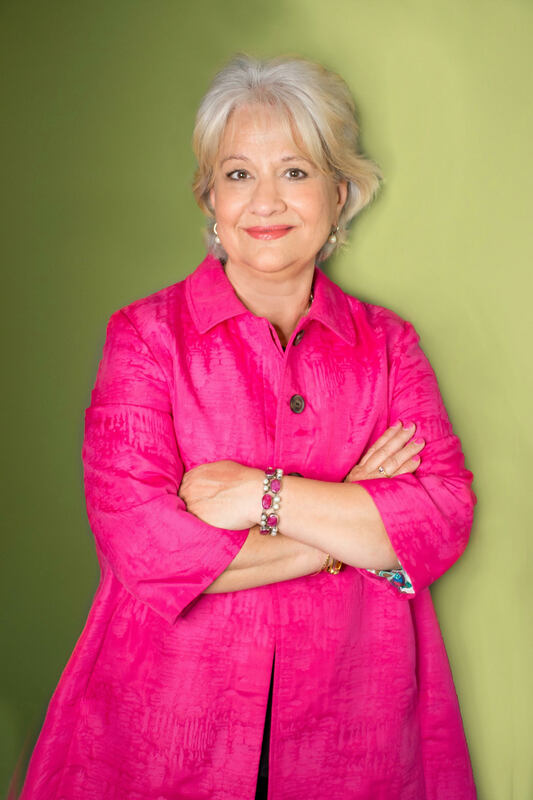 This book offers Brinkmann’s perspective on the rise and sustained success of NTFB, and key lessons and insights she learned that are applicable to all leaders with a vision that includes mobilizing others to accomplish a goal. In addition, Brinkmann shares her journey of how she went from living in a village in India to becoming a nationally-recognized nonprofit leader. NTFB had a humble beginning in the 1980s as a distributor to local food pantries and shelters. Moving into the new millennium under then-CEO Jan Pruitt’s leadership, NTFB’s growth was meteoric and sustained, reaching 72 million nutritious meals annually. Today, NTFB has emerged as a major player in America’s fight to address hunger. At the core of the NTFB success story is leadership, specifically a thoughtful yet bold form of leadership that Colleen describes as Moonshot Leadership. The Moonshot Leadership practiced and exhibited by NTFB led to a 588% increase in annual public support over 14 years ($2.6 million to $17.9 million), a successful capital campaign realizing over $55 million, and most importantly, the reduction of food insecurity in a region larger than many countries. Recently, Brinkmann joined Career Management Partners (CMP) as a Senior Consultant of Purpose-Driven Strategy and Brand. In this role, Brinkmann provides strategic services to purpose-driven nonprofits, businesses and corporations. The book is published by CMP, a leading executive search, development, assessment, coaching and outplacement firm. A portion of the book sales will go to the North Texas Food Bank, the Greater Chicago Food Depository and the Atlanta Community Food Bank. Colleen Townsley Brinkmann, CFRE, is a dedicated nonprofit professional with more than 30 years of senior leadership and management experience. She is considered an innovator and risk-taker, and is often called upon to advise nonprofit peers, CEOs and corporate leaders on social responsibility, philanthropy, cause marketing and nonprofit branding. CMP is a people development and transition firm focused on executive recruiting, assessment and development of leaders, and innovative outplacement and career transition solutions. CMP has offices in Atlanta, Charlotte, Chicago, Dallas, Fort Worth and New Orleans, and delivery capability across the nation and globally through OI Global Partners. CMP is a Woman and Minority Owned Business. For more information, visit http://www.careermp.com.